Let the sun shine! Want to add a little spring to someone's step? 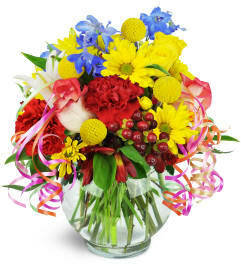 This cheerful arrangement of multi-hued blooms is the perfect way to get the job done! 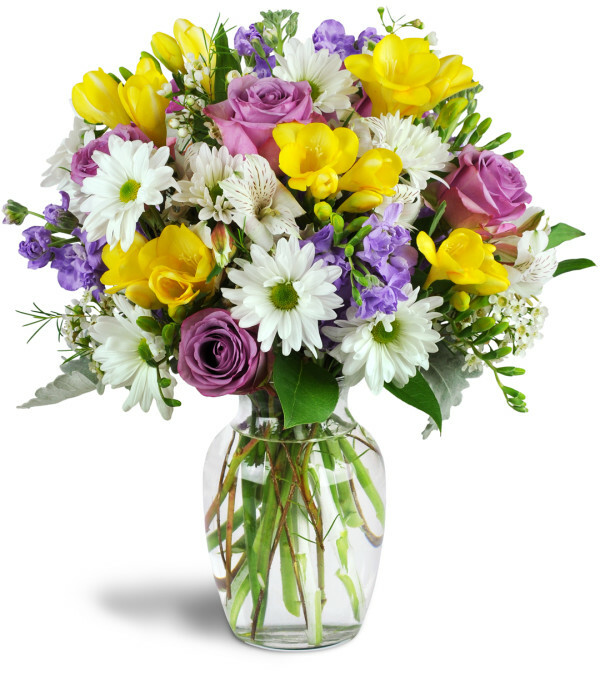 Lavender roses and stock, cheerful white daisies, and fragrant yellow freesia are arranged in a classic glass vase, ready to delight! It wasn't quite like the picture but very close and added some sunshine to the recipient days. Really nice and delivered on short order was great! 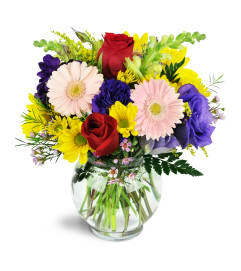 Westdale Florist is a Lovingly Florist in Hamilton. Buying local matters. Discover how Lovingly supports local florists. Copyrighted images herein are used with permission by Westdale Florist.